‘Knife Club’, the informal name of the UK Knife, Axe & Tomahawk Throwing Association (KATTA), has come a long way since we started 10 years ago. 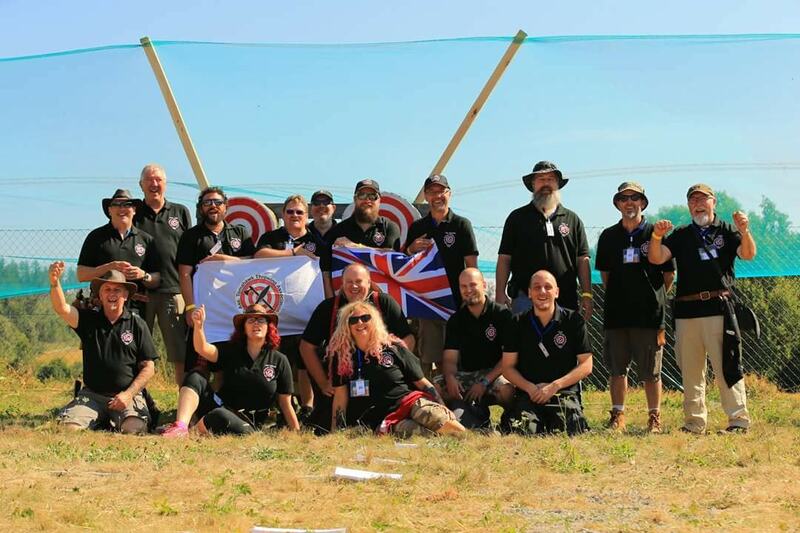 KATTA has grown from being the only knife and axe throwing club in the UK into an ‘umbrella’ association of several affiliated clubs around the country. Through our members’ hard work, determination and dedication we are one of the largest and most well-respected national sport throwing clubs in the world. We hosted the Eurothrowers World Championships in 2015, organise many regional tournaments throughout the year, a national tournament once a year and have formulated a knife and axe throwing league. In 2018, we are also expanding into the world of Double Bit Axe throwing! Please note: SAFETY IS OUR MAIN CONSIDERATION! We do not promote impalement throwing (throwing around people), trade advertising, unsafe throwing or items banned by UK law i.e.throwing stars. We only throw at inanimate targets for fun or points. Please read our advice on Safety and Law. This site assumes no responsibility for the use of its contents. Our centre of operations is near Pontefract (close to the intersection of the A1, M62 and M1). Click on the link for directions. There are 5 regional clubs hosting regular meetings too: in Essex, Hull, Milton Keynes, Edinburgh and Huthwaite (near Mansfield). See their individual sites or ask in the main KATTA UK Facebook group. Our regular meetings in Pontefract are very informal so please come along and have a go – you don’t need to be a member or join but we do encourage you to say hello in our very sociable Facebook group. We have lots of throwing knives, tomahawks, axes, nails etc that you can use. We try to accommodate all styles of throwers and things to throw, though of course safety is the first consideration. If anyone under the age of 18 wishes to attend they must be accompanied by an adult, who will supervise them throughout the training sessions. What happens on your first visit to Pontefract? 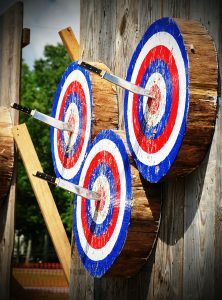 throwing and tomahawk-throwing really is that easy! The cost is only £15 for your first day (which includes any tuition and equipment needed) and £10 per day thereafter. KATTA UK is a non-profit organisation and the fee is purely to cover the upkeep of the range and to replace worn out targets and keep the club throwing equipment in working order. Throwing knives, axes and tomahawks is a challenging but fun, safe, healthy and social pastime – and that is the whole idea of Knife Club.